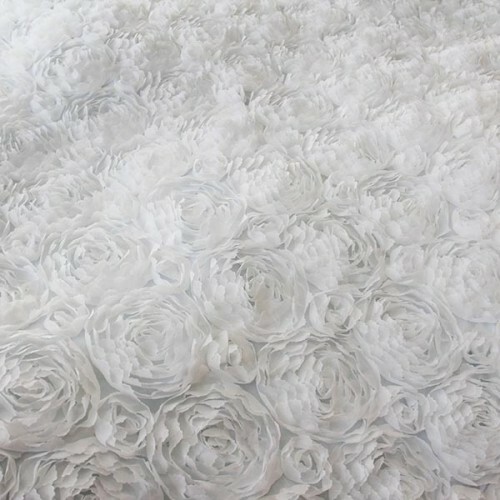 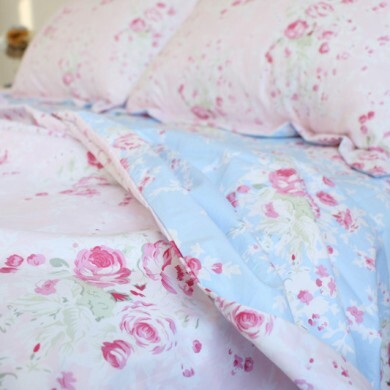 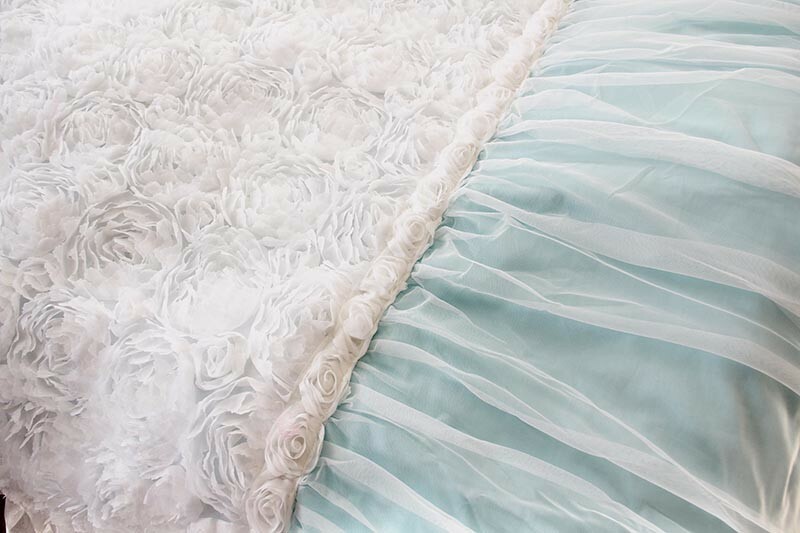 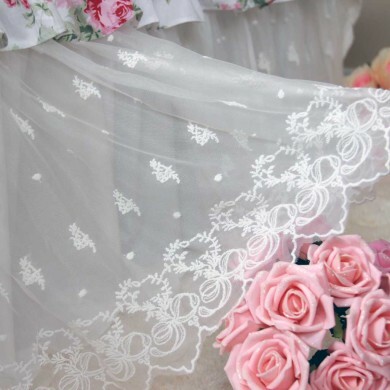 -- Please Select --Full/Queen 88" x 88"
Romantic duvet cover is decorated with 3-dimensional rose lace. 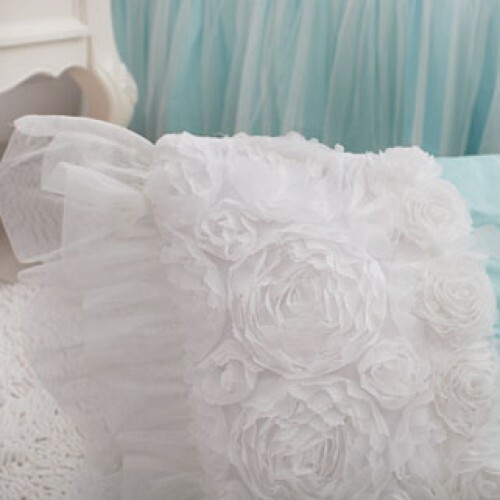 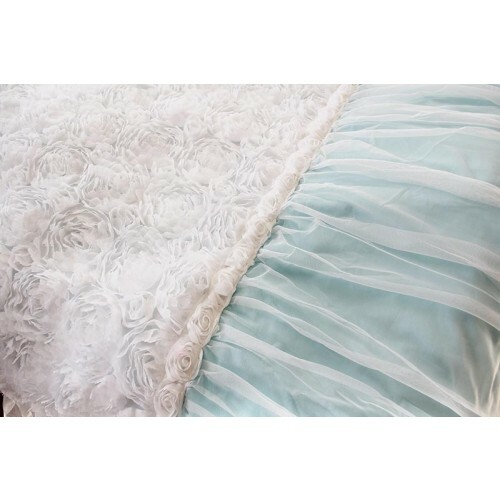 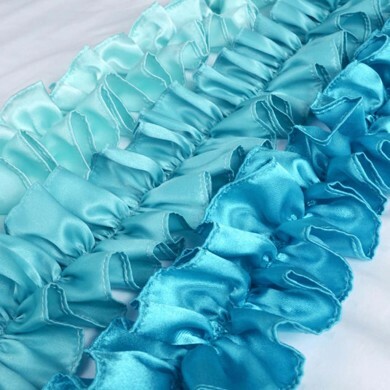 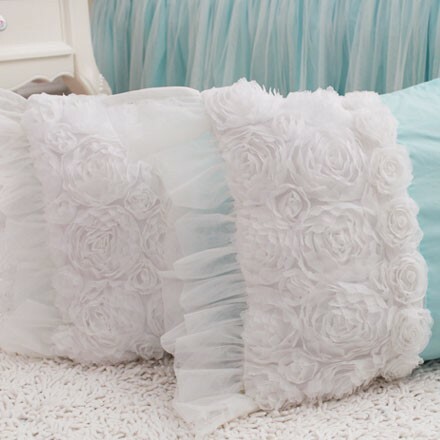 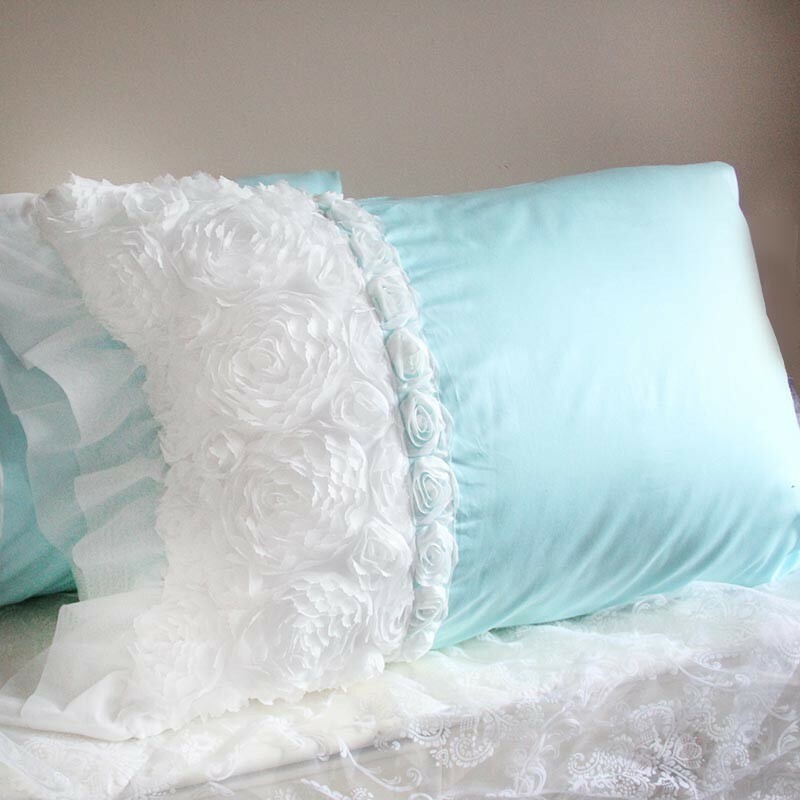 Luxury double ruffle design on the edge. 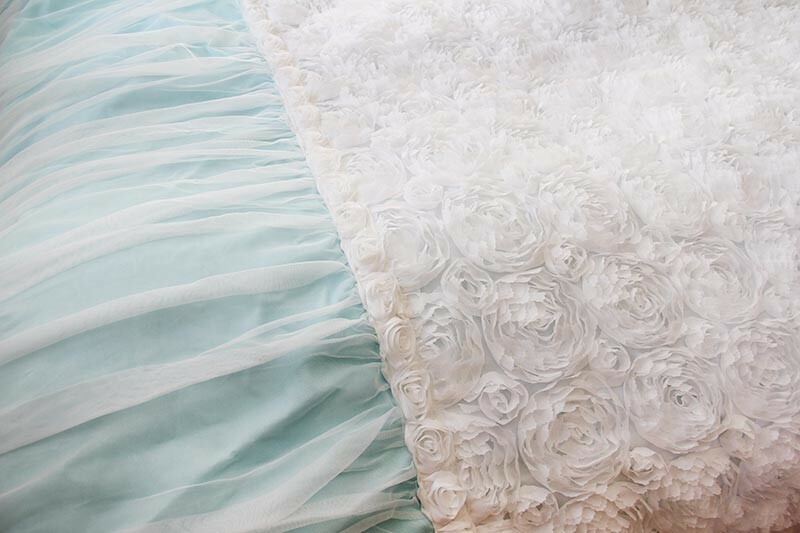 The left and right sides are hand ruched for added visual detail. 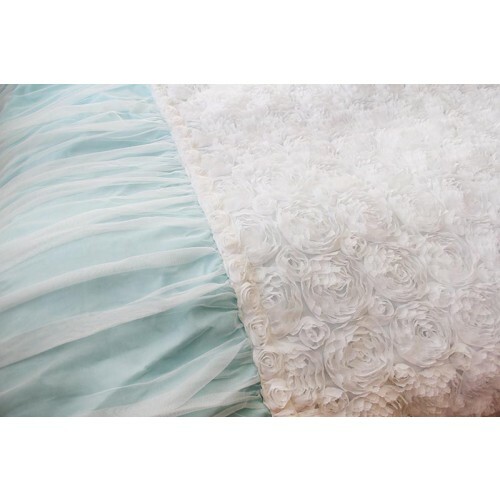 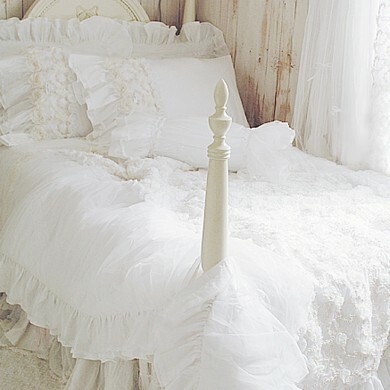 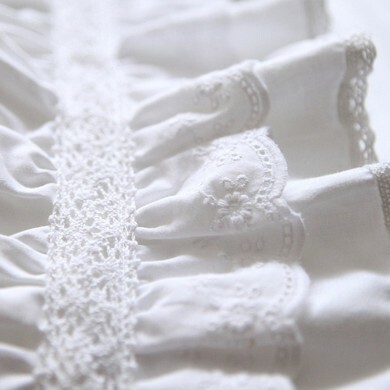 200 thread count cotton and delicate lace. Roses are white. Cotton is light aqua blue. 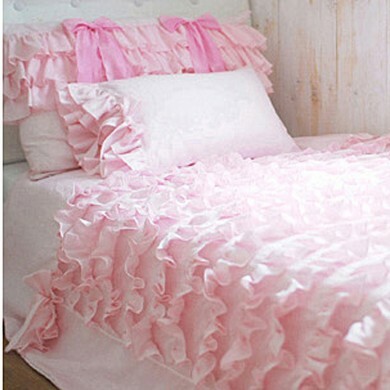 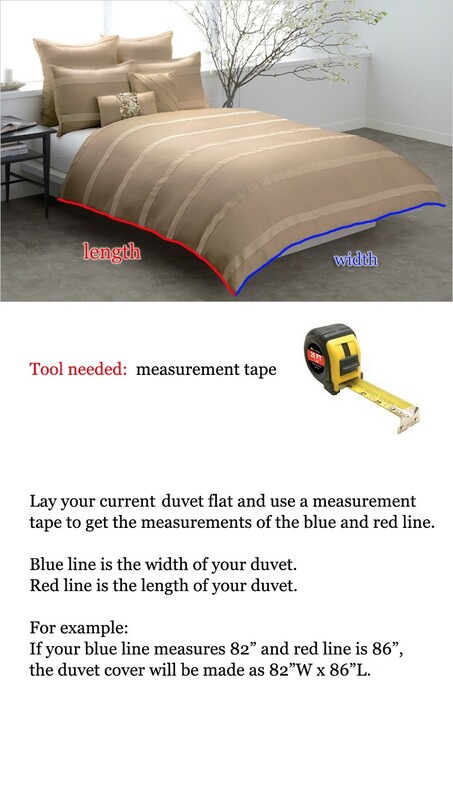 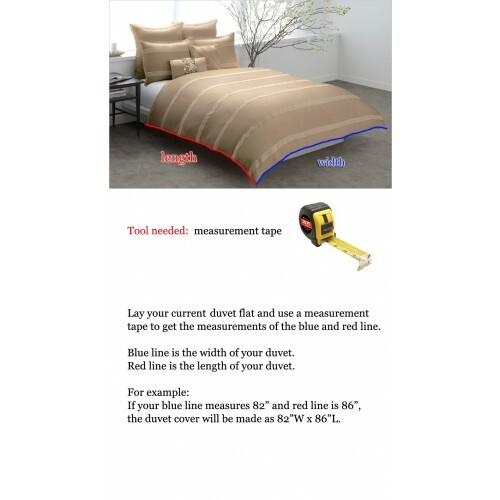 If you need other custom sizes (oversized queen, twin, or king size), please contact us.